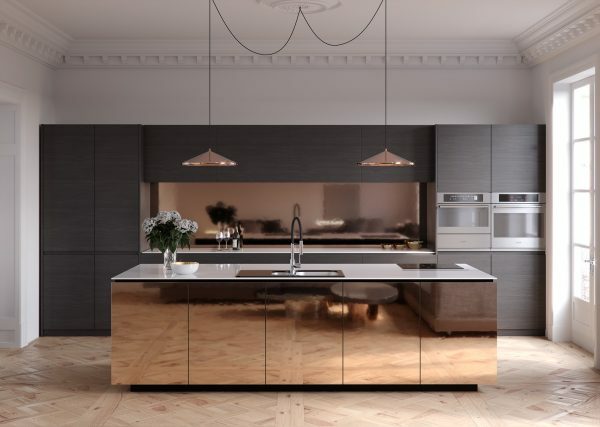 Food is seductive, home cooking is a decadent (for some!) 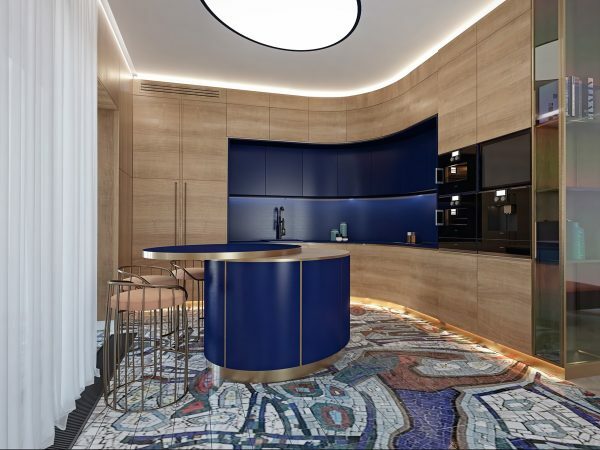 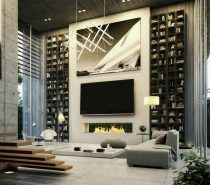 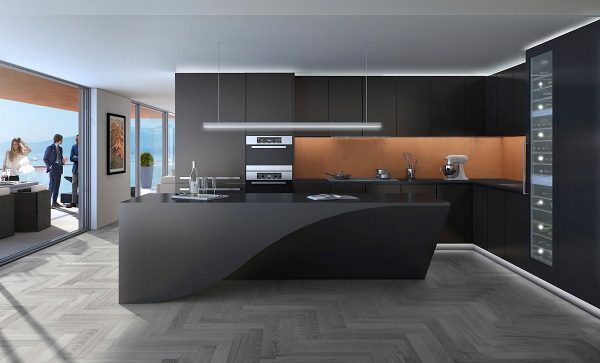 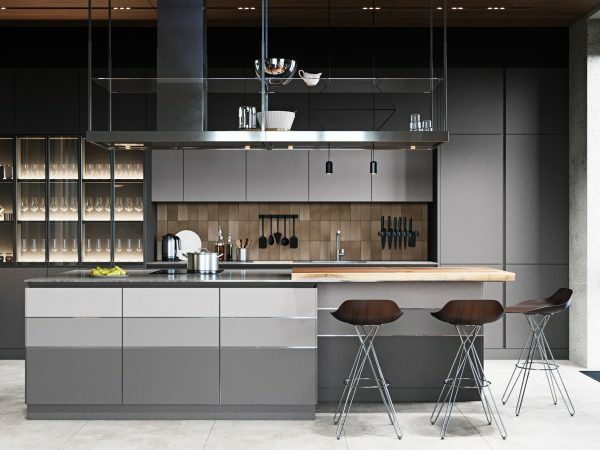 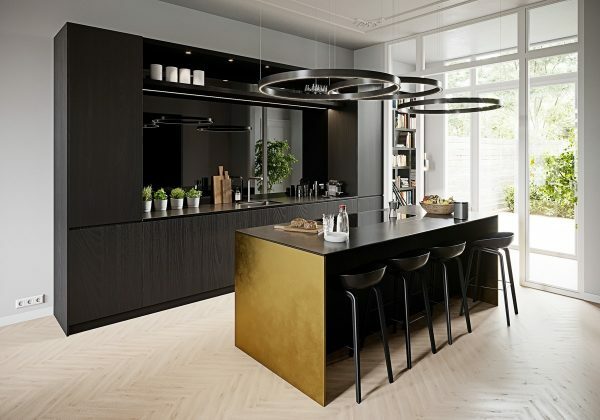 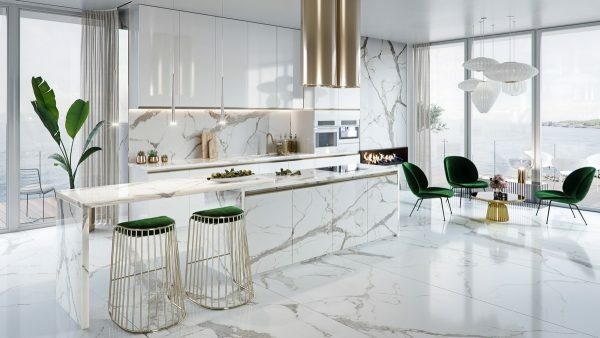 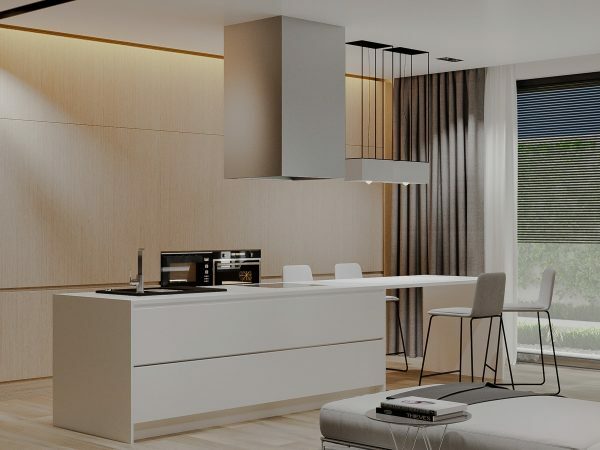 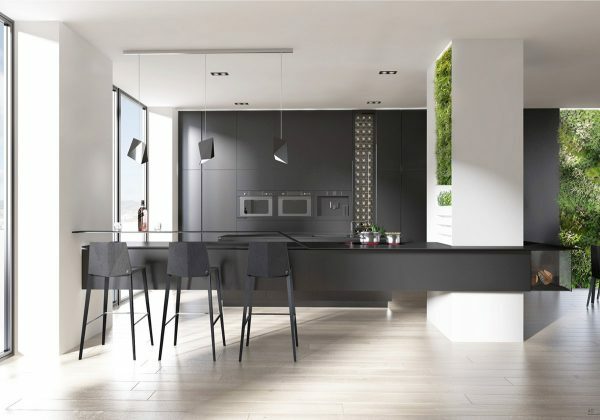 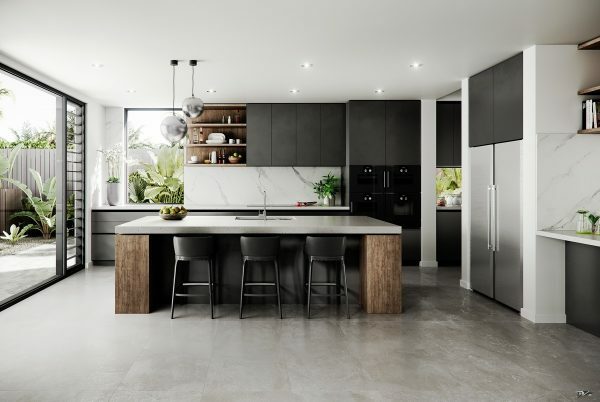 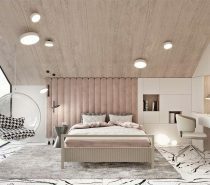 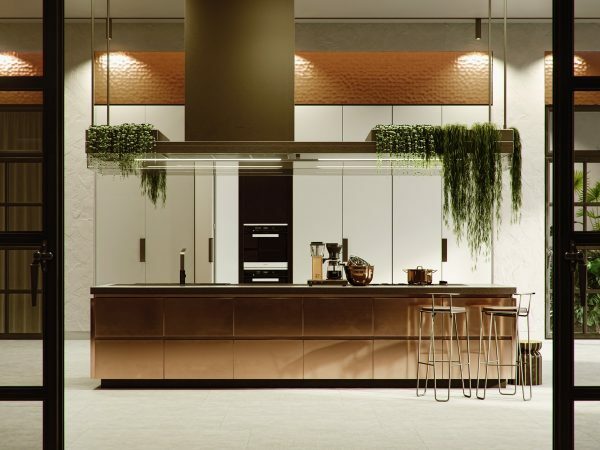 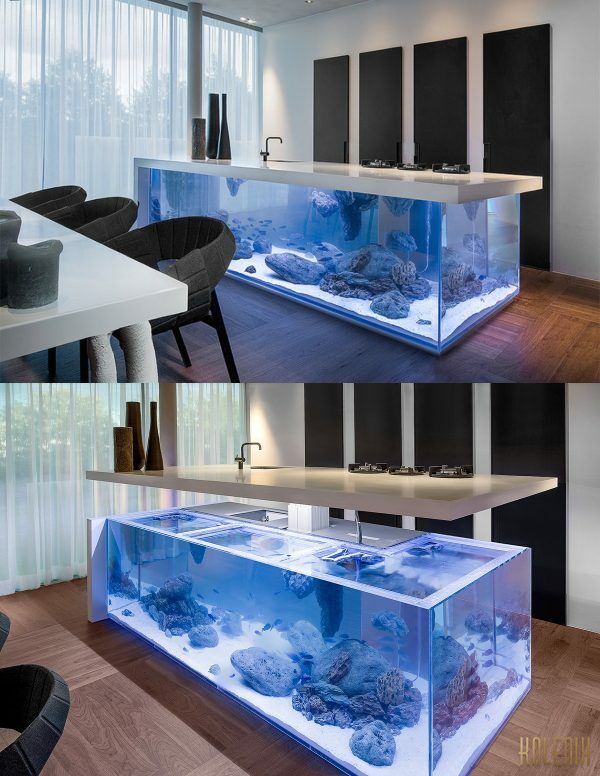 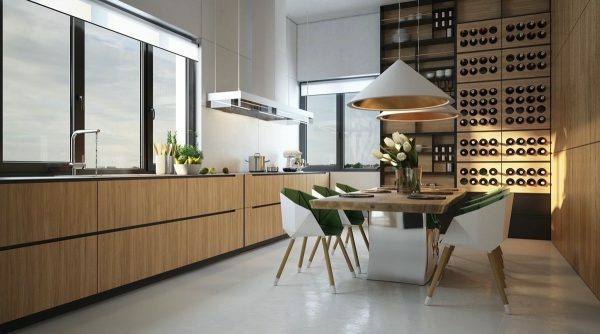 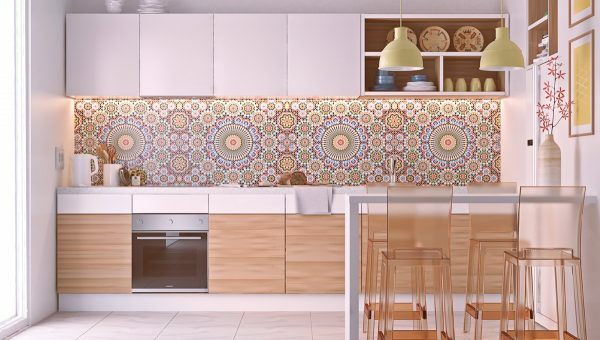 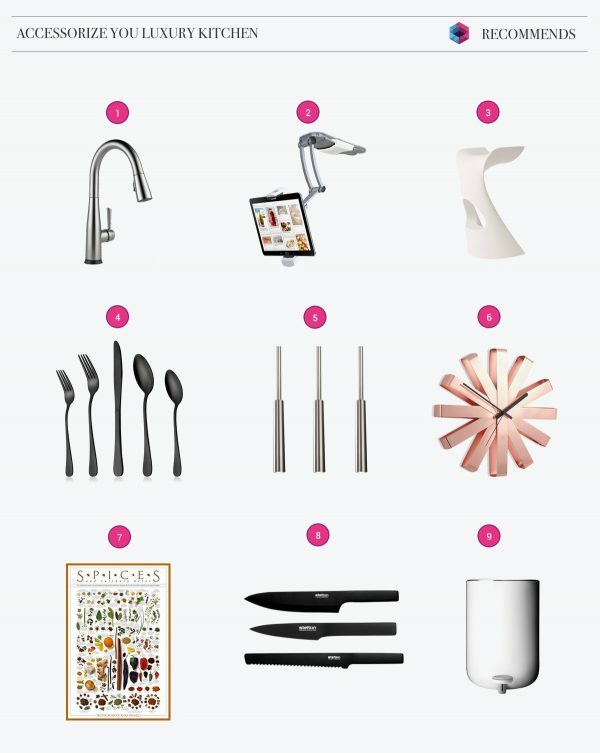 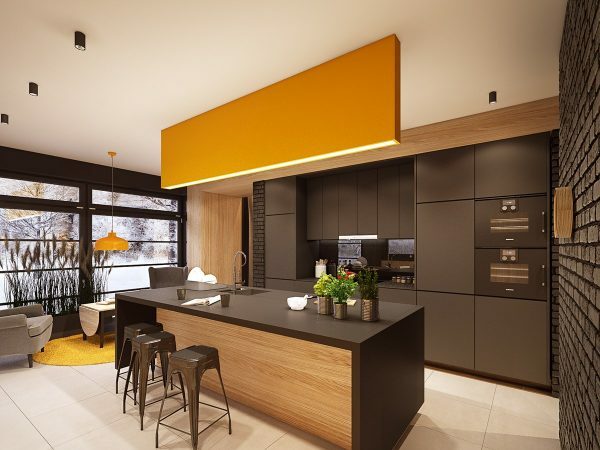 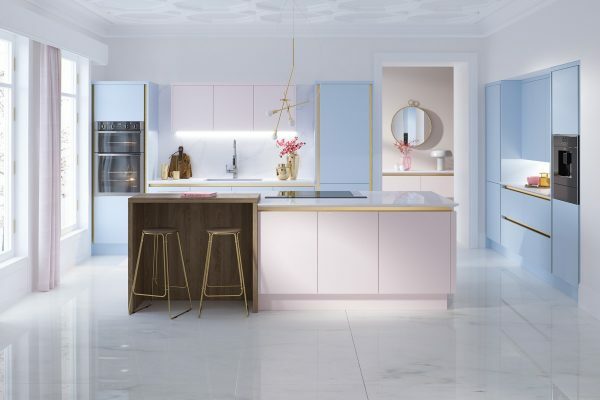 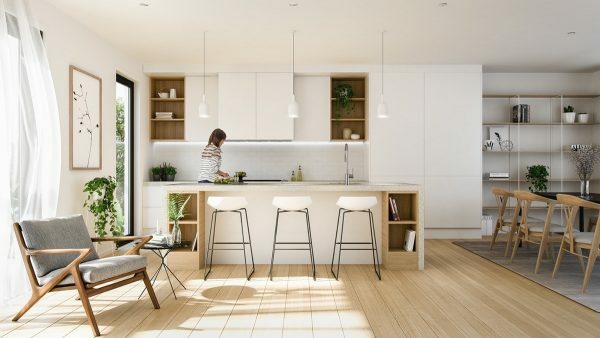 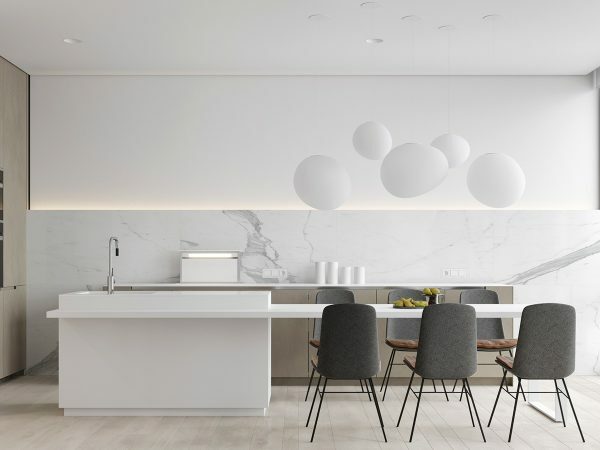 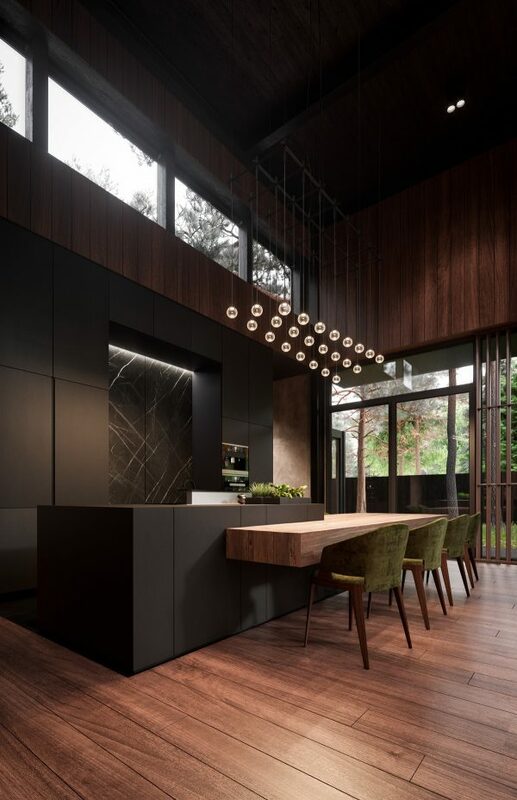 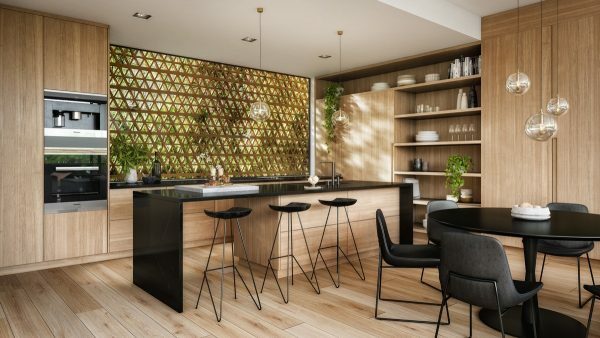 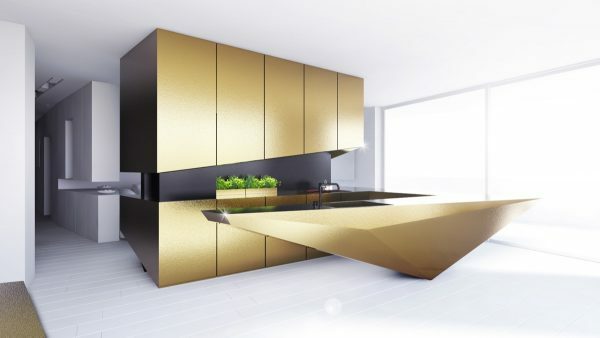 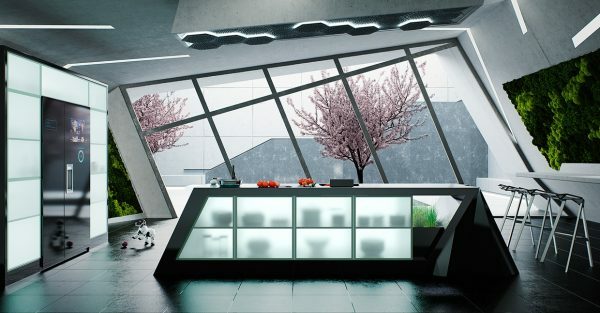 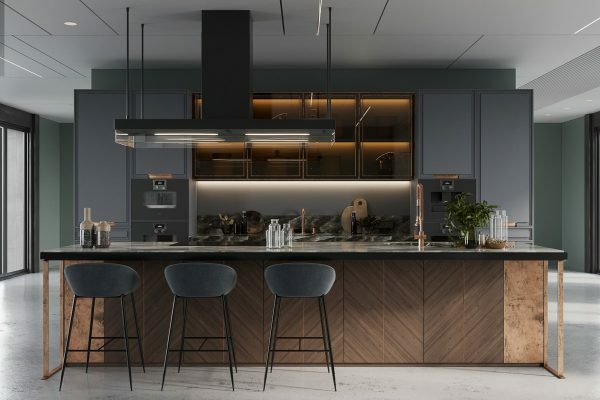 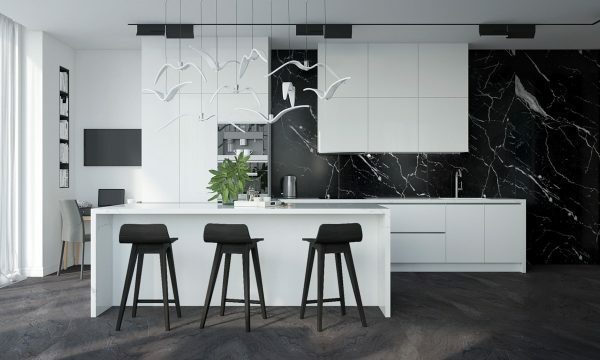 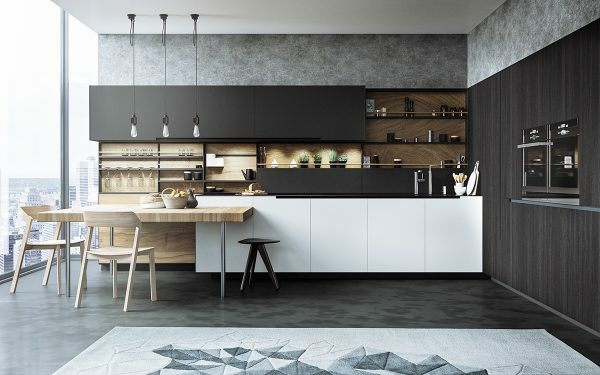 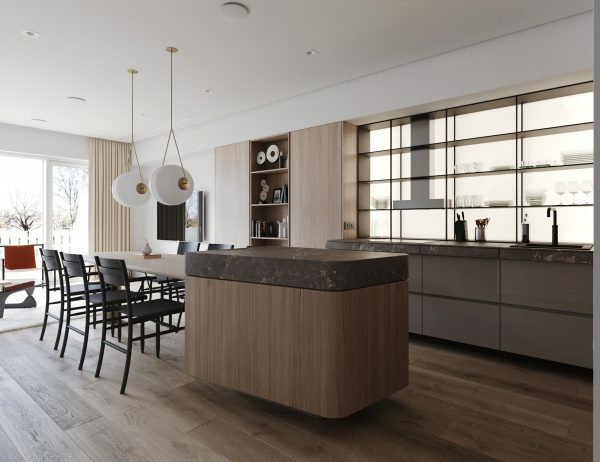 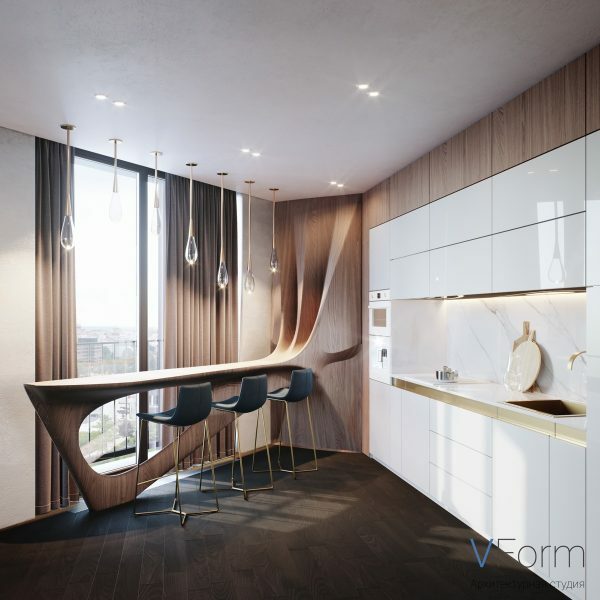 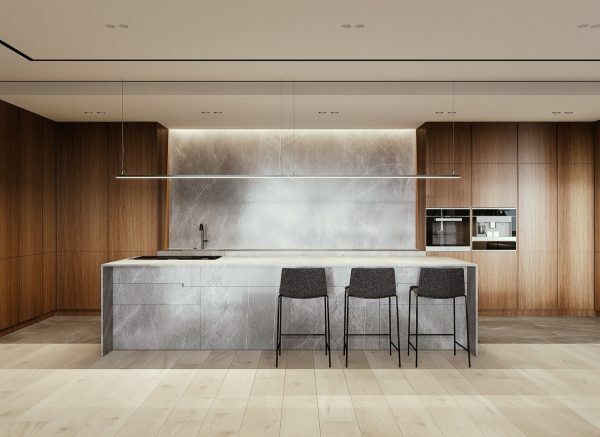 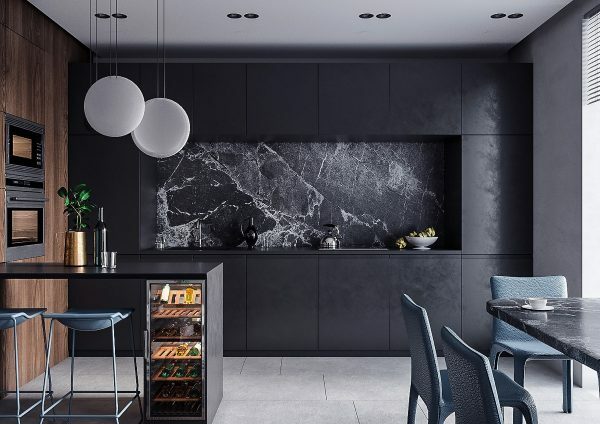 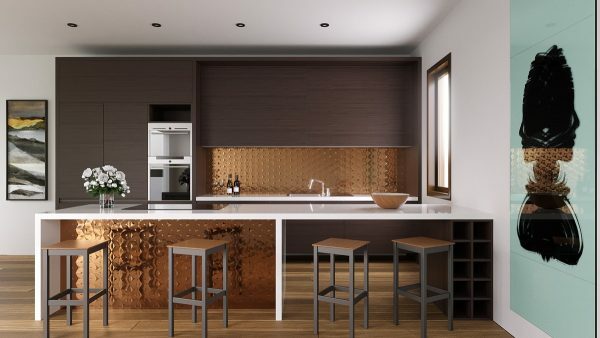 If your kitchen is indeed the heart of your home – or linked with your dining space – then you’ll want to fill it with the kind of luxury you’d expect at your very favourite restaurant. 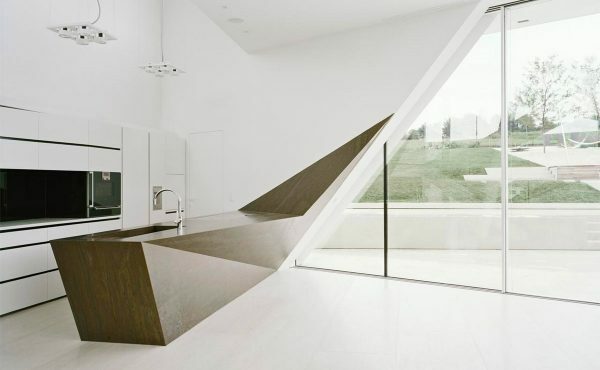 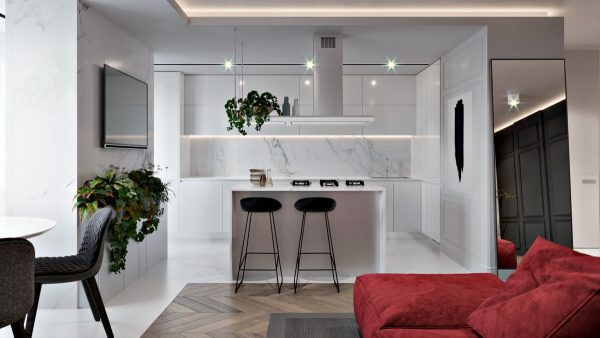 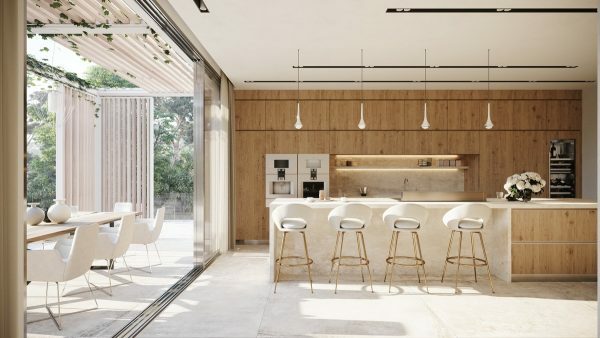 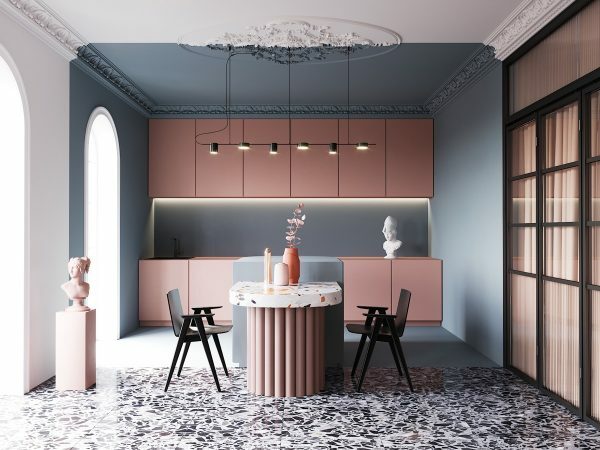 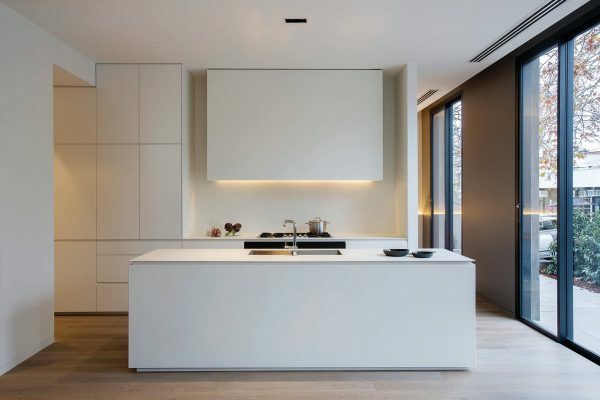 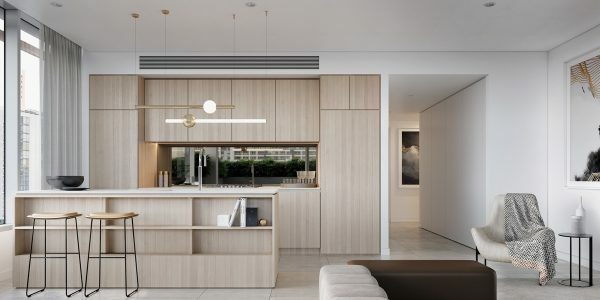 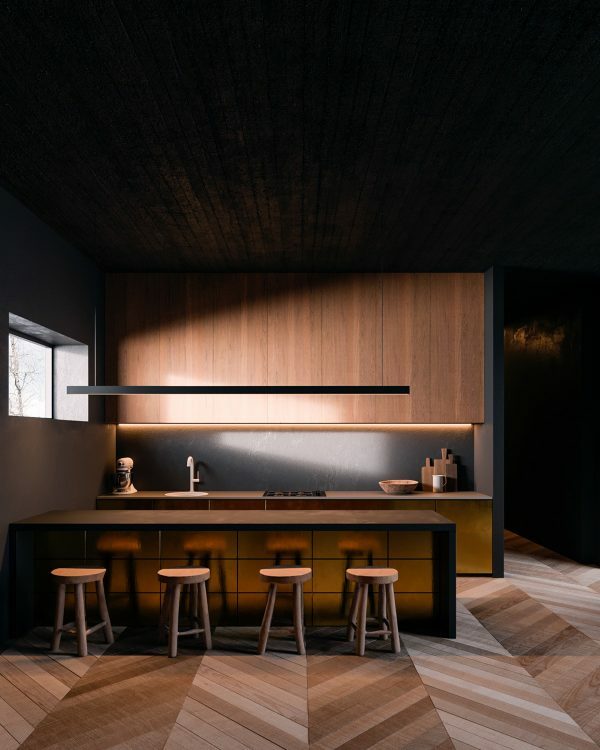 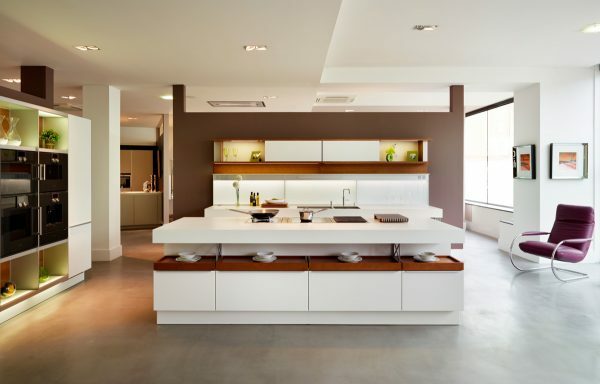 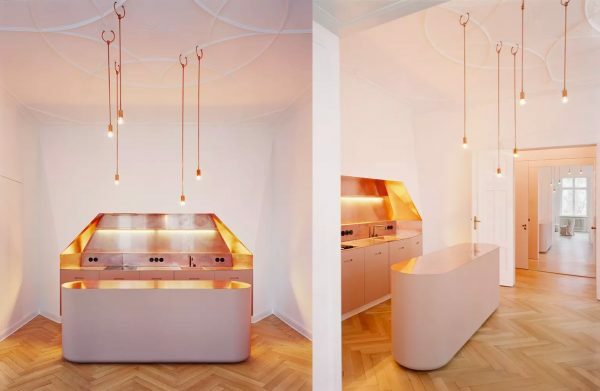 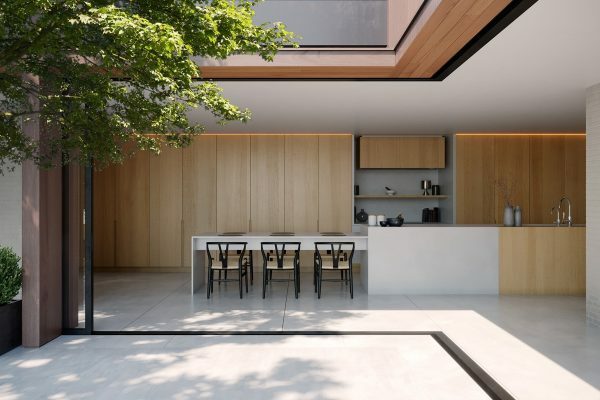 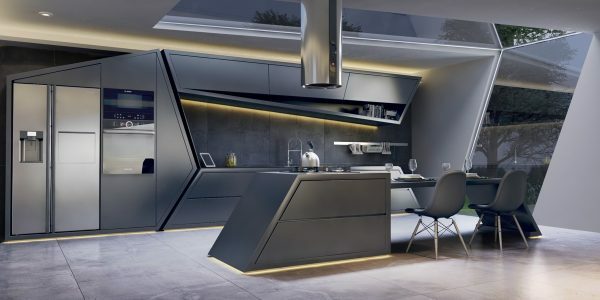 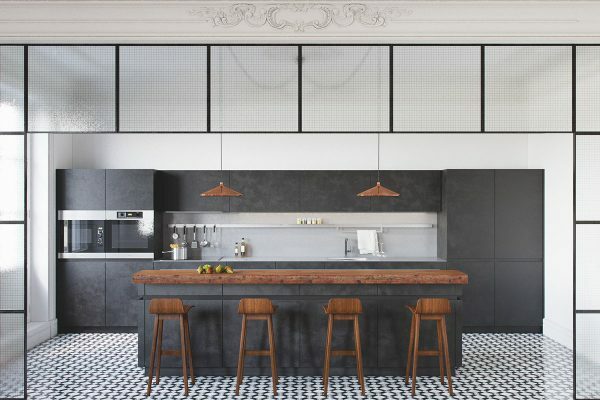 This gallery of 51 inspirational kitchen designs are steeped with luxury for high end homes, but that doesn’t mean that there’s no inspiration here for more compact proportions too. 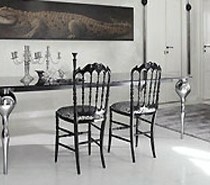 Luxury is a treat that can be enjoyed at any scale, just as wonderful food can delight any taste buds. 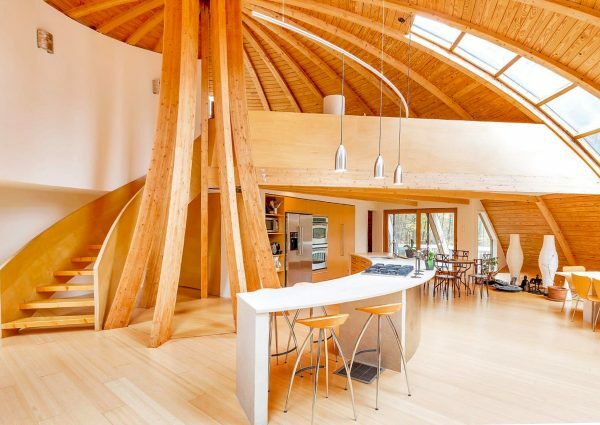 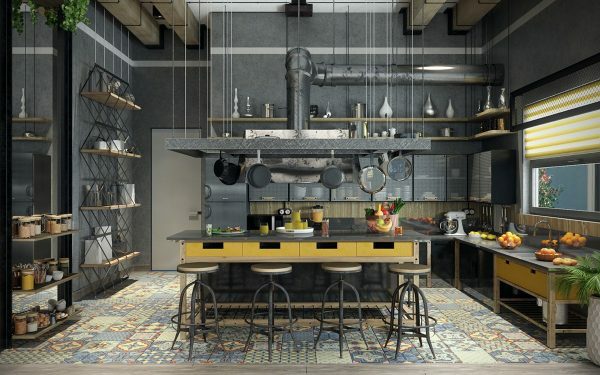 So, get your chefs hat on and image yourself in these amazing spaces as you whip up your signature dish. 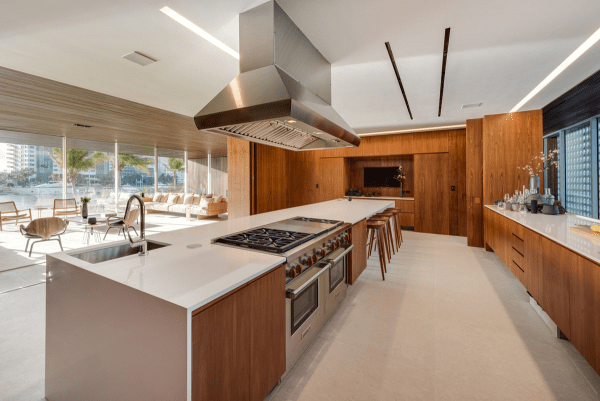 Cater for the masses. 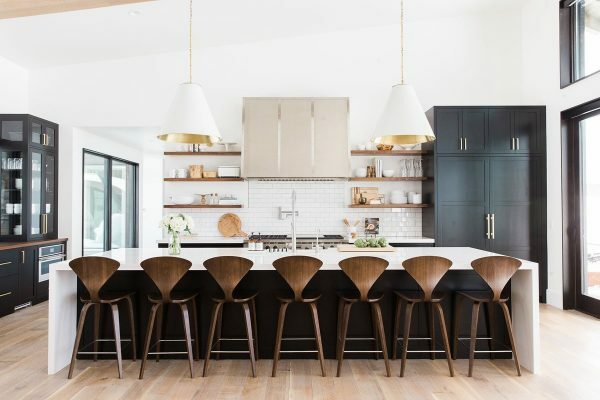 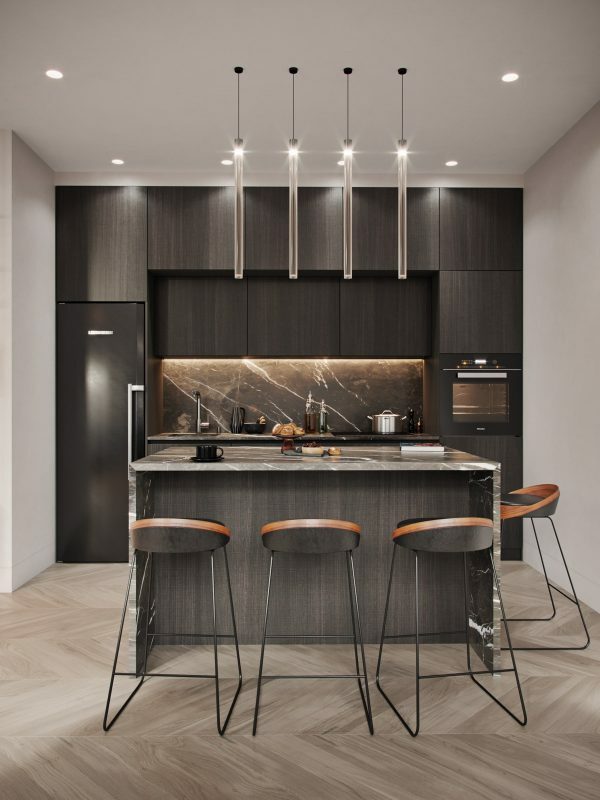 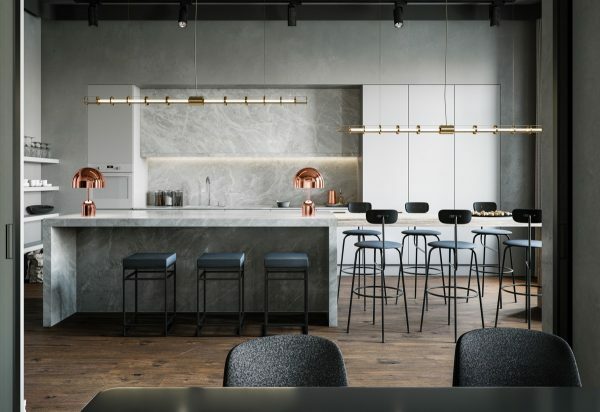 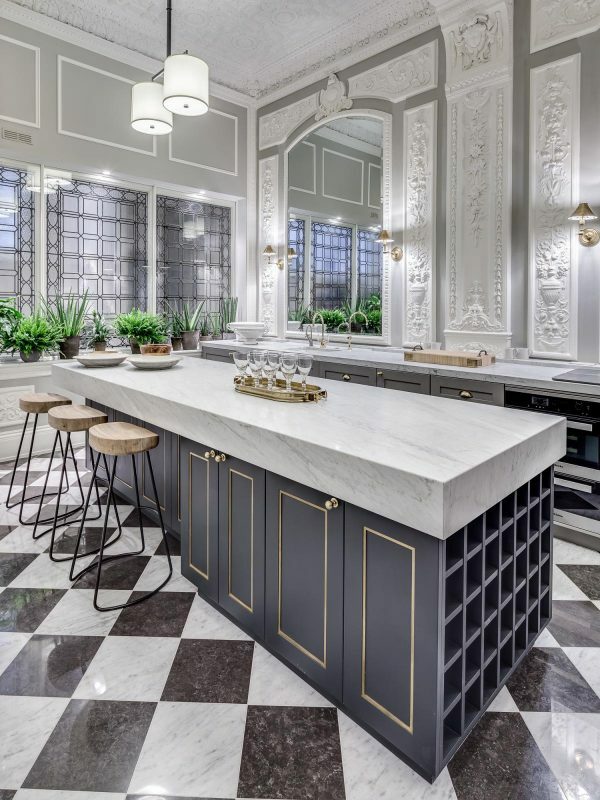 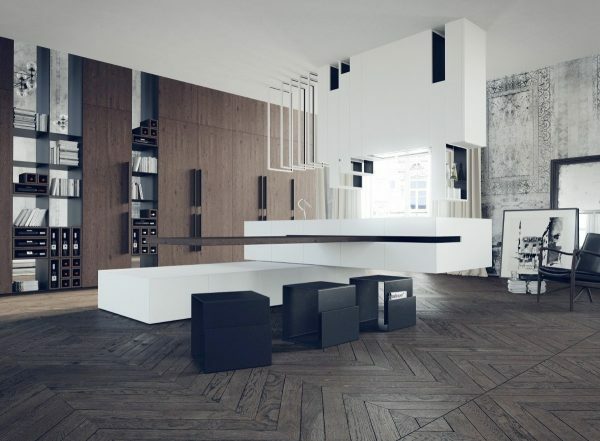 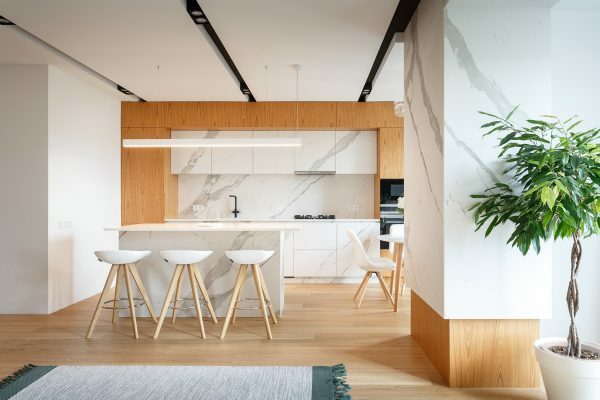 A long lineup of designer kitchen bar stools make a statement here, and if you’ve got the space (and the cash) then hey, why not? 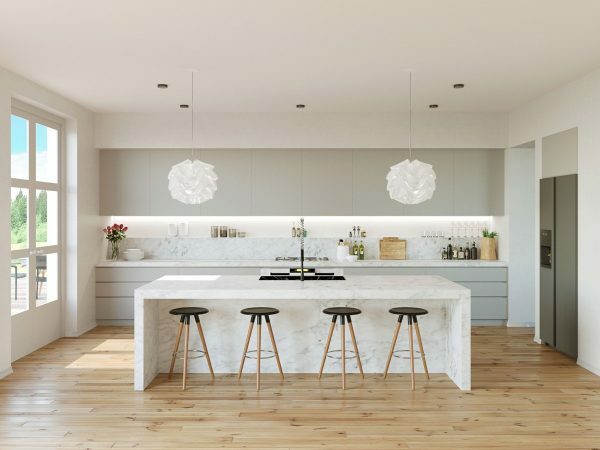 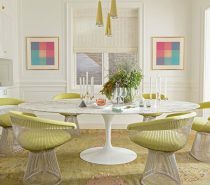 These are Cherner style stools.